1. Do I Need The Most Expensive Negative Scanner? No. 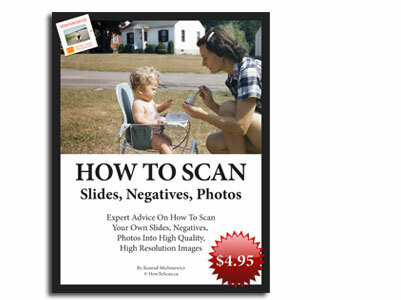 In this negative scanning guide, I’m using a simple $200 scanner to prove my point. Here’s why a simple $200 scanner (or the scanner you already have) is good enough. 2. How Do I Properly Clean My Negatives Before I Scan Them? If you don’t clean your negatives before you scan then your digital image scans will have A LOT of dust. And if you don’t properly clean your negatives, you may scratch your originals and destroy them. 3. How Do I Load Negative Film On The Scanner The Easy Way? Are your negatives scans coming out backwards? Does your scanner recognize negative film? Read these tips and they’ll explain how to setup your scanner properly. 4. What’s The Best Resolution For Negative Scanning? Negative scan resolution is confusing. You have DPI, mega pixels, dimension, PPI, output size, etc. In this part, I’m going to show you a simple way to understand resolution. Once you know this simple thing, the rest will be easy. 5. How Do I Fix Colours So they Look Natural And Remove Dust / Scratches? Using your scanner to fix your digital images is very easy to learn and use. But remember, what you get in convenience, you’ll pay in quality. If you’re serious about quality, see the Advanced Scanning Tips below. 6. How Do I Crop My Negatives In The "Preview Window" And Get My First Scan? The Preview Window is where you can check your negative scan quality, make sure nothing is being cropped, and make sure they’re scanned in order. Here’s how to use the Preview Window and get your first scan! Before you even get your negative first scan, you need to change THIS scanner default settings. Scanning software will often harm your scan. It's best to get a "natural" scan, then fix it using professional software. Here's how to get a natural scan. And below I show you how to fix the natural scan using Photoshop, Lightroom, and GIMP. I personally use Photoshop to edit all my client’s scans (ScanCanada.ca). If you have the time, I’m willing to show you my scan secrets. Learn how to fix colour, noise, dust, film grain, and exposure using GIMP. Want To Learn How To Scan With Lightroom, Elements, Photoshop, GIMP, or CorelDRAW? Get more advanced scanning techniques by clicking the link above.